Yalda, meaning birth or renewal, is a Syriac word borrowed from Syric Christians. It is a celebration of the Winter Solstice which falls around December 21st, depending on the astronomical Northward equinox. The Persians adopted this annual renewal festival from Babylonians and incorporated it into the rituals of Zoroastrian, their religion of the time. The last day of the month “Azar”, or the 9th month of Persian calendar, is the longest night of the year, after which days become longer and nights shorter. In ancient Persia, this change symbolized the victory of sun, or light over the darkness. 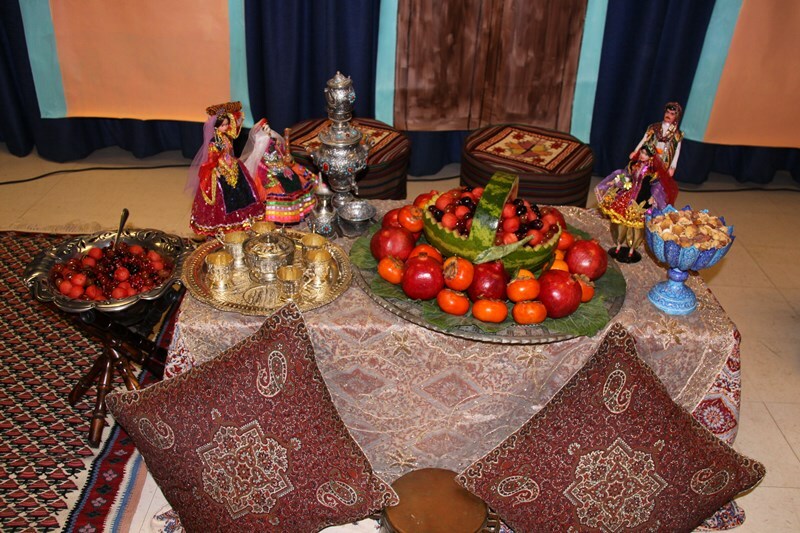 The tradition of the Yalda Night celebration, or in Persian, Chab-e Chelleh, is shared by many Central Asian countries such as Afghanistan, Tajikistan, Uzbekistan, Turkmenistan as well as some Caucasian states such as Azerbaijan and Armenia. The Yalda Night celebration is deeply rooted in Persian Culture and like Nowruz, the Iranian New Year celebration, reflects the importance of family ties and respect for the elderly. Traditionally, on this night, family members gather around the elders to listen to stories and enjoy specials treats offered for this occasion. The celebration, often times last until past midnight. Dried fruits, nuts, watermelon and pomegranate are inseparable parts of this celebration. Watermelon and pomegranate represent the color of dawn, or the beginning of the end of night and darkness.